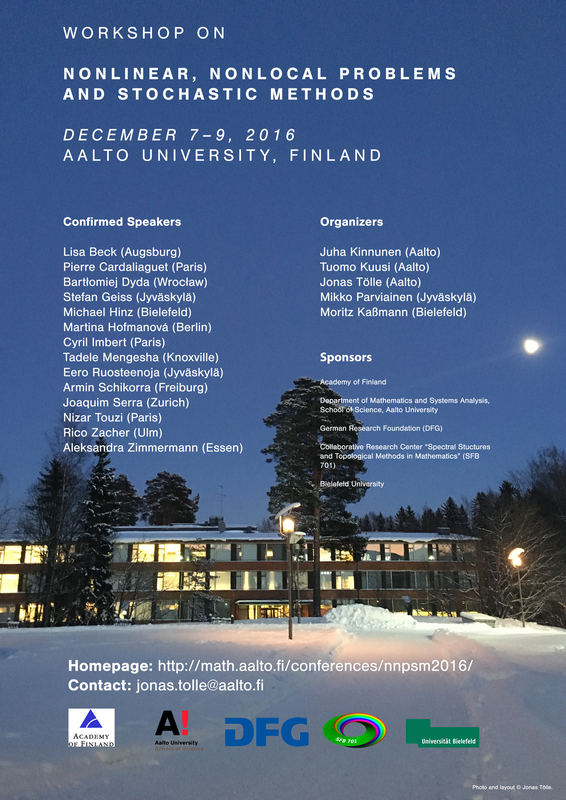 The purpose of this meeting is to gather together experts related to nonlinear and/or nonlocal partial differential equations, stochastic analysis or stochastic control. Other topics in nonlinear PDEs and calculus of variations may also be touched. You can download a high resolution version of the workshop poster here.